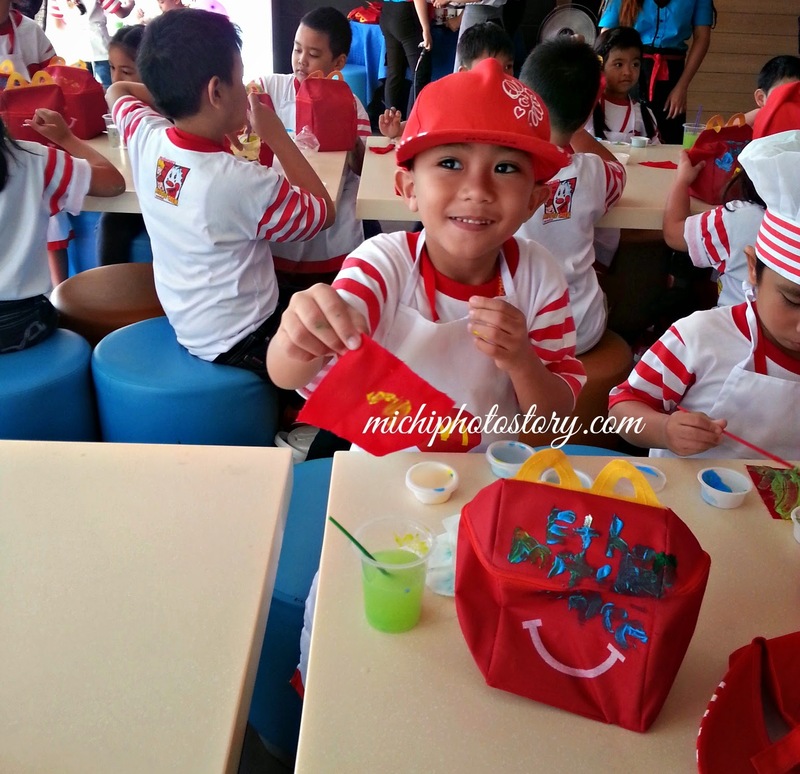 For the last two years, I’ve been meaning to register my son in McDonald’s Kiddie Crew but I have to wait till he hit 6 years old. They were very strict with age so I have no choice but to wait. But now, I noticed that there were kiddie crew as young as 4 years old. 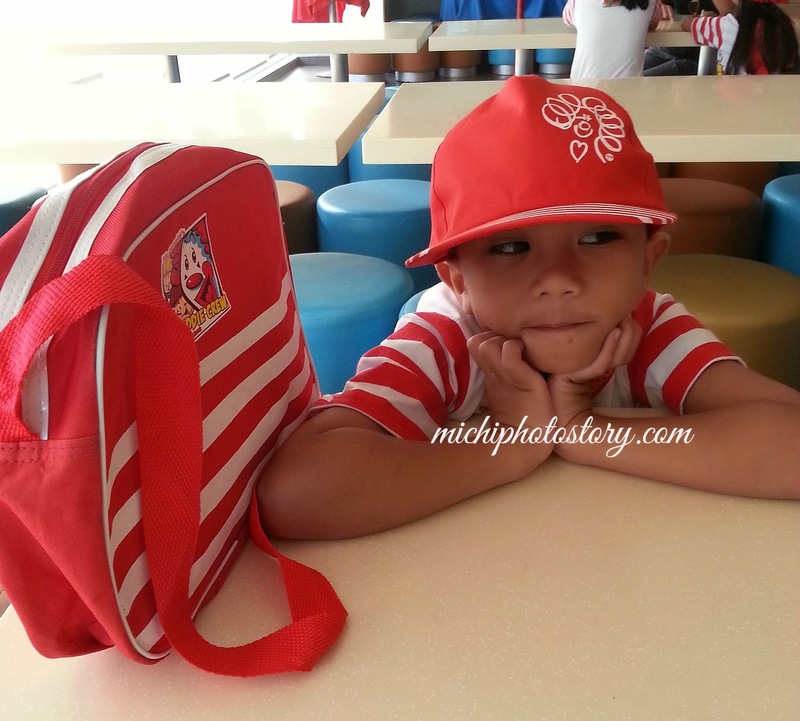 McDonald is the only fastfood near my son’s school and most of the time I stayed there while waiting for my son’s dismissal. Since March 12, I accompanied my son in school until he finished his graduation practice. 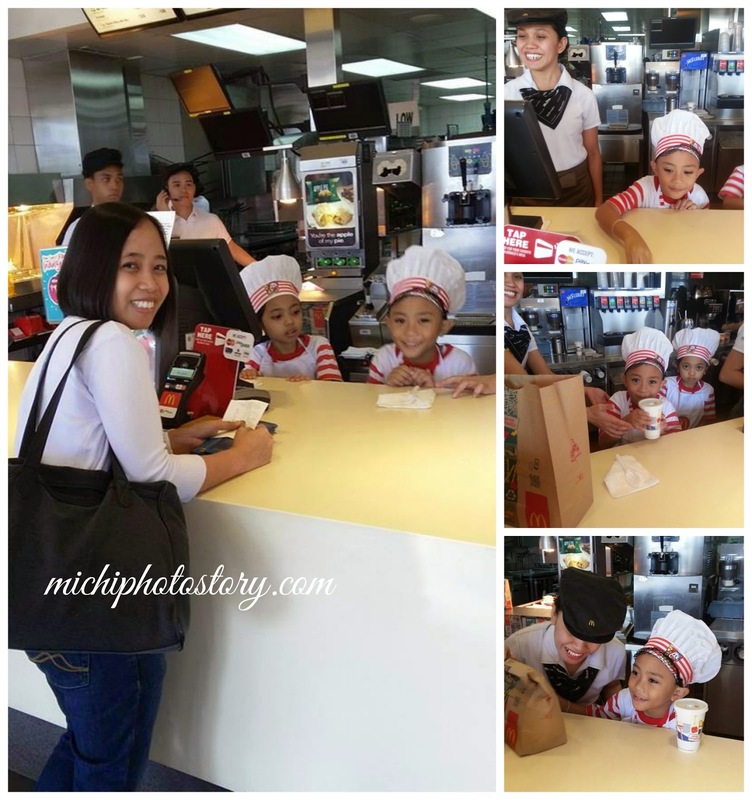 At that time, I learned that McDonald’s Kiddie Crew was already opened for registration. 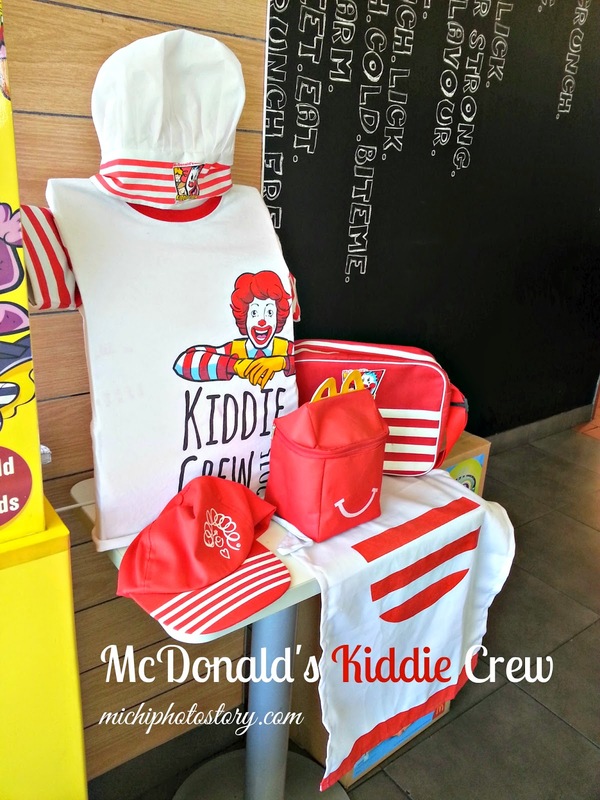 I immediately got the registration form, filled up the form and I was so excited to tell my son that I will enroll him in McDonald’s Kiddie Crew. But my son did not like the idea. My husband and I kept on persuading him to join the workshop but he has so may excuses. Ethan: I can’t do that. Ethan: I don’t want to work in McDonald. Finally after four weeks, he said yes. Unfortunately, the next available date is April 27 to May 1, 2015. I chose 8-10AM schedule. Inclusive of T-shirt, ID with Lace, Cap, Bag, Chef’s Hat, Apron, Meals and Workshop Materials. After two weeks of waiting, we attended the orientation and got the uniform. The staff toured the kids in the kitchen and my son became interested. Kids introduced themselves (name, age and talent). The kids were divided in two groups. So if group 1 is in the counter the other group will practice their song and dance number. 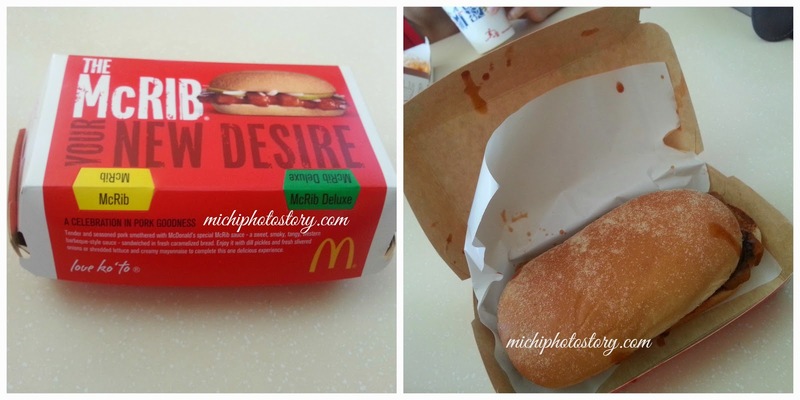 My son doesn’t like burger but I was surprised that he ate his burger McDo meal. My son started to enjoy his counter experience. He experienced preparing drinks and putting tissues, spoon and fork and ketchup on the tray. Cheeseburger Making. Kids made their own cheeseburger for their snacks. I ordered meal while my son is in the counter. He was happy to serve his mom. The kids painted their McDonalds Happy Meal box and presented their talent. My son said his talent is drawing so we just brought his sketch pad. Graduation day. Kids sang “Make it Happen” and danced “Shake it Off”. I always tell this to my son, stop saying “I can’t do that” or I can’t do this” always say I can do it! So I was really happy when I checked the lyrics of McDonald’s Kiddie Crew theme song. I liked the message. 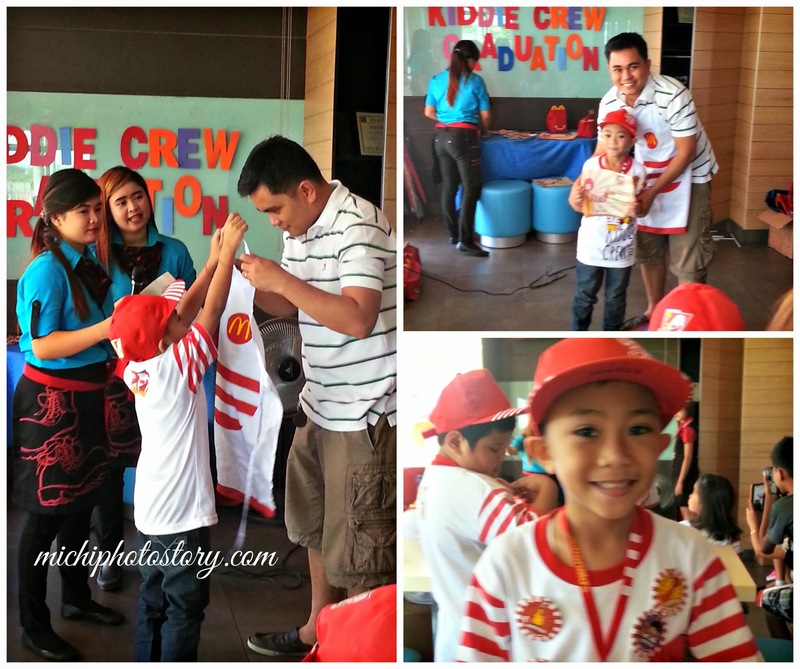 My son enjoyed his first Kiddie Crew Workshop. We bought the McRib meal (fries + drinks + free umbrella) P200 because there was a raffle but we did not win. But at least we have McDonald umbrella. hehehe! Hubby said, McRib was just ok.
Aww..it must have been so fun for him to spend a day at "work" at McDonalds to learn about working in a customer service position. I'd really love my daughter to try this when she comes the right age. 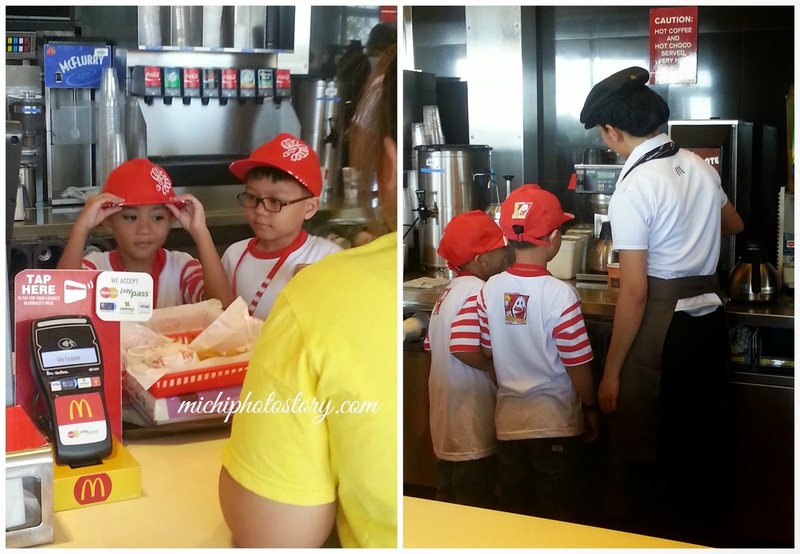 The kids are so cute in their kiddie crew outfit! I never thought of enrolling my son in a Kiddie Crew Workshop, maybe I should since he loves helping me in the kitchen! 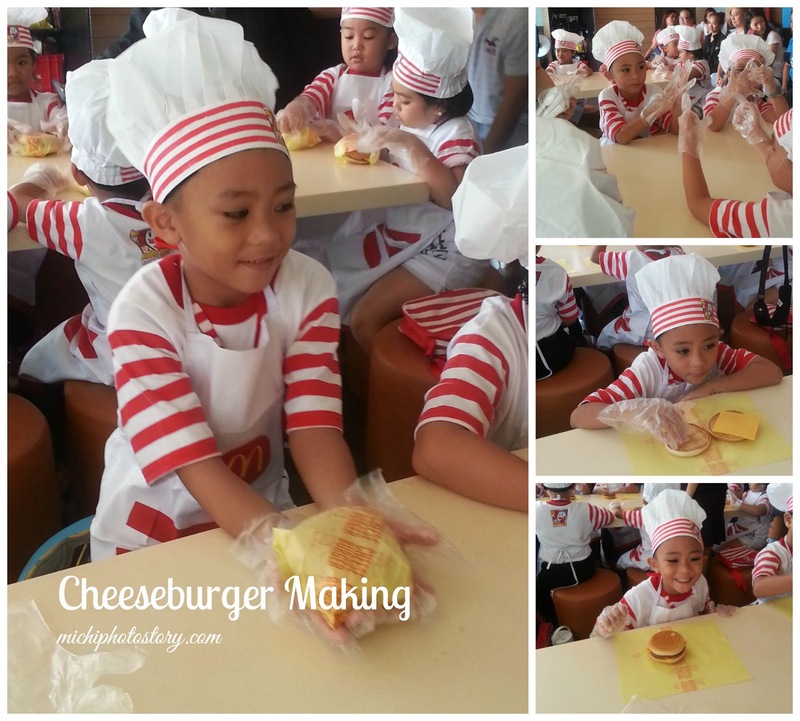 I think every child should have the opportunity to do something like this kasi it teaches them a lot about real life. We may enroll next year! That looks like fun! My daughter likes playing restaurant with me so maybe this is something she can try when she's 4. It looks like a fun and learning week for your child. I want to enroll my son too. Kaso ang layo naman ng McDo sa bahay namin. Hopefully soon :) Looks like your son has so much fun.